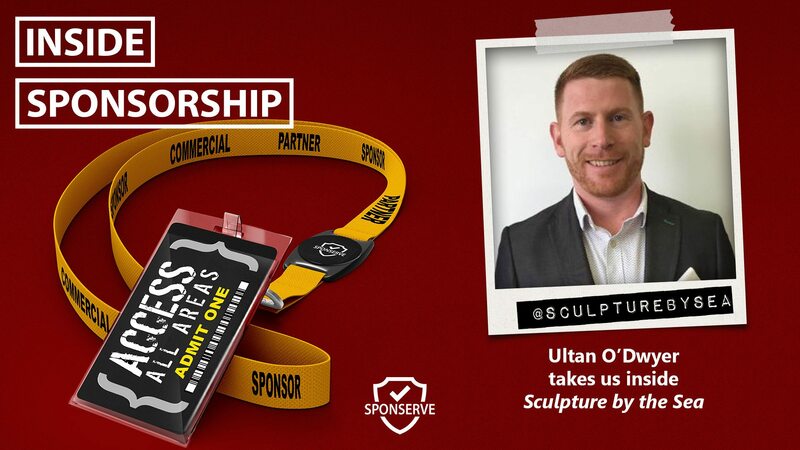 In this Inside Sponsorship episode, we go inside Sculpture by the Sea’s commercial program with Ultan O’Dwyer, National Sponsorship & Philanthropy Manager. Sculpture by the Sea is the largest annual sculpture exhibition in the world. Staged on the spectacular Bondi to Tamarama coastal walk, Sculpture by the Sea, Bondi, is one of Sydney’s most popular events with 520,000 visitors viewing over 100 sculptures by artists from around the world. Held since 1997, this free to the public exhibition captures the imagination of Sydney and its visitors for three weeks each spring and the exhibition generates an almost unprecedented level of goodwill among the public as they enjoy one of the most unique events in the world. The popularity of the Bondi exhibition led to the creation of Sculpture by the Sea, Cottesloe in Perth on Australia’s Indian Ocean coast in March each year. Staged since 2005, the Cottesloe exhibition features over 70 sculptures and is enjoyed by 260,000 visitors, making the exhibition as much a part of Perth as the Bondi show is in Sydney. Before we hear from Ultan though, I sat down with Mark Thompson, our MD, because his latest blog addresses some direct feedback we’ve received from our recent blog series focusing on aligning benefits to objectives. The feedback that a few people have provided is ““I’ve been in meetings where the potential sponsor just isn’t clear on what their objectives are. What should I do?”. So, Mark’s blog, and the chat this episode, is all about how to uncover a sponsor’s objectives in three questions. As always, if you have an idea for a topic, a segment, someone you’d like us to have on the show or just a question, then be sure to get in touch.